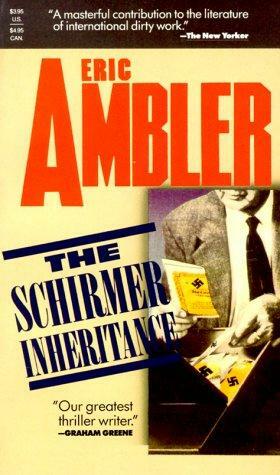 The Schirmer Inheritance was the second novel written by Eric Ambler after the second world war and it reflects the tragedies and triumphs of its times. During the Russo-Prussian-Napoleonic Wars, a Sergeant in the Dragoons of Ansbach, Franz Schirmer, deserts his unit, and eventually marries, becomes a prosperous business man, and raises a large family. The town that he is settled in falls again into the Prussian kingdom and so afraid of detection, he changes his family name from Schirmer to Schneider. However. his elder son retains the name of Schirmer as he has already been conscripted in the Prussian army. Move forward a hundred years and a Schneider leaves a huge fortune in the US. A young lawyer, George Carey is deputed to find if there is any heir otherwise the State of Pennsylvania will claim the fortune. George's quest takes him to the still smouldering post-war Europe: Paris, Germany, and Greece. The wounds of the war are still raw and in the scarred lands, battles still rage between different factions. Especially evocative is the description of internecine Greece. I had no idea about the retreat of the German army from Greece or the civil-war that tore it apart so it was fascinating to read about it. A most satisfying read. Much recommended. First Line: In 1806, Napoleon set out to chastise the king of Prussia. Neer, I'm not sure about Eric Ambler's work but if it's anything like this then I'll be looking out for his novels and read whatever I find. Prashant, do read Ambler. He is GOOD. 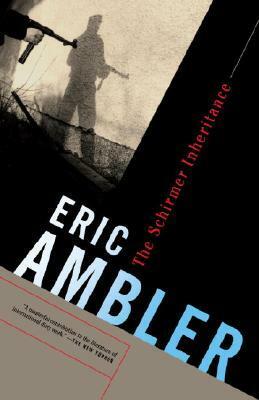 I really like Ambler but have not picked this one up - yet! Thanks Neeru. I hope you read it soon Sergio. Would love to read your views on it. Neeru - This sounds really absorbing! I like the past/present connection very much, and the premise is intriguing. Thanks for sharing. Glad you liked it Margot. The Past/ Present connection is pretty well done. I see this one at book sales all the time. I think it's formulaic title brings to mind Robert Ludlum and I'm not a fan of his stuff. So always avoid buying a copy of Ambler's book. Kind of silly, I know. But your capsule review highlights the most tempting aspect -- the effects of WW2 in Greece. I may try this one some time. Always like learning about unknown (to me) bits of world history. We all have our silly reasons, John, but next time you see this book, pick it up. Like you, I too enjoy reading about history and this book really comes alive when it reaches Greece. Based on your summary, this one sounds good and different. I have only read a few Eric Ambler books but want to read more of them. I too want to read more of him, Tracy. Esp. the book set in a hotel that you had reviewed.